Gary Whitton was convicted and sentenced to death for the October 10, 1990 murder of James Mauldin. Gary Whitton met James Mauldin in March 1989 at a halfway house in Pensacola where the two men were receiving alcohol treatment. After leaving the halfway house, Whitton and Mauldin would see each other occasionally at Alcoholics Anonymous meetings. On October 7, 1990, Mauldin spent the night at Whitton�s home after showing up intoxicated. On October 8, 1990, the two men drove to Destin so Mauldin could withdraw money from his bank. The bank was closed, so the men returned the following day. Mauldin closed his account after he was told by the bank teller that he could not withdraw money without his passbook, which he did not have. Whitton assisted Mauldin with filling out the forms required for closing his account because Mauldin was too intoxicated to do so himself. Mauldin left the bank with $1,135.88 in cash. Both men then checked into a hotel in Destin. Whitton filled out the hotel forms, giving a false license plate number. The hotel clerk noticed the discrepancy in the license plate numbers and recorded the correct information on the hotel forms. After checking in, Whitton left the hotel at approximately 12:00 p.m., and he claimed he did not return to the hotel again. During the investigation, Whitton told officers that he did not return to the hotel the night of the murder. Whitton later told the officers that he did return for a few minutes, but that Mauldin was already dead when he arrived. The hotel clerk said that he saw Whitton�s car arrive at approximately 10:30 p.m. and leave again at approximately 12:30 a.m. The same hotel clerk found Mauldin�s body the next day. Mauldin�s body was found with numerous injuries, including a fractured skull and stab wounds to the shoulder, cheek, neck, scalp, back and heart. Tests indicated that he had a 0.34 blood alcohol level at the time of his death and, according to police records, Mauldin had no money on him besides some spare change. Police brought Whitton to the station for questioning on October 11, 1990, after being alerted by the hotel clerk about the false information given by Whitton on the hotel forms. A search of Whitton�s home revealed a pair of boots that were stained with blood that matched Mauldin�s blood-type. The police then searched Whitton�s car where they found bloodstains that also matched Mauldin�s blood type. While in jail awaiting trial, Whitton confessed to an inmate (and was overheard by a second inmate) that he returned to the hotel to steal Mauldin�s money and killed him because he was afraid that Mauldin would have testified against him in a parole violation hearing as a result of the robbery. Both inmates gave statements attesting to this information. Whitton was sentenced to death in Walton County on September 10, 1992. Whitton’s 3.850 Motion has been pending in the trial court since 03/24/97. Thirteen years have passed without a disposition on the motion. According to the Florida Supreme Court Post Conviction Quarterly Report, Quarter 4-2009, further delays, including a change of defense counsel, change of judges, workload, and family sickness have caused the target date for the written disposition order to be changed to “not later than March 31, 2010.” The target date for the written disposition order has now been changed to 05/19/10, “absent emergency or extraordinary circumstances,” according to the Florida Supreme Court Post Conviction Quarterly Report, Quarter 1-2010. The target date for the written disposition order has now been changed to the Third Quarter 2010 (approximately October), according to the Florida Supreme Court Post Conviction Quarterly Report, Quarter 2-2010. The target date for the written disposition order has now been changed to “on or before 12/17/10”--according the Florida Supreme Court Post Conviction Quarterly Report, Quarter 3-2010. The target date for the written disposition order has now been moved to “on or before 3/31/11”—according the Florida Supreme Court Post Conviction Quarterly Report, Quarter 4-2010. According the Florida Supreme Court Quarterly Report, Quarter 1-2011, the target date for the written disposition order has been moved to 4/8/11. The case has been reassigned to the Escambia Division. On 09/28/92, Whitton filed a Direct Appeal in the Florida Supreme Court. In that appeal, Whitton argued that the trial court erred in denying his motion for mistrial after the prosecutor commented on his post-arrest silence during closing argument. Whitton also argued the consideration and application of the heinous, atrocious or cruel aggravating factor and the avoiding arrest aggravating factor. On 12/01/92, the Florida Supreme Court affirmed Walton’s conviction and sentence of death. On 05/15/95, Whitton filed a Petition for Writ of Certiorari in the United States Supreme Court that was subsequently denied on 10/02/95. On 03/24/97, the Whitton filed a 3.850 Motion in the State Circuit Court that is currently pending. GARY RICHARD WHITTON vs THE STATE OF FLORIDA and GARY RICHARD WHITTON vs MICHAEL D. CREWS, etc. In today's Florida Supreme Court opinions, the court AFFIRMED the post-conviction court's DENIAL of Whitton's 3.851 motion and the court DENIED his petition for a writ of habeas corpus. The Florida Supreme Court took the opportunity Thursday to admonish trial judges to be more careful with jury notes while rejecting a death row inmate's appeal. Gary Richard Whitton was convicted of the 1990 fatal beating and stabbing of James Mauldin during a robbery. They met at a halfway house for alcoholics. Whitton's attorneys argued the jury sent five notes to the trial judge that the defendant was unaware of until recently. He claimed the secret notes violated the rules of criminal procedure. The court's unanimous, anonymous opinion decided two notes were not "communication within the scope" of the rule. As for the others, the court said Whitton's alleged lack of awareness was refuted by his attorney's testimony that he remembered the contents of at least two of the notes. The justices claimed the error, if there was one, was harmless. But the court was concerned about the incompleteness of the record and emphasized the importance of ensuring a complete trial record. The court advised trial judges, "Any communication with the jury outside the presence of the prosecutor, the defendant and the defendant's counsel is so fraught with potential prejudice that it cannot be considered harmless." Chief Justice Jorge Labarga wrote a separate concurrence addressing what he called "the lack of clarity in the record" on jury notes and emphasizing the need for proper handling. "It is of paramount importance that both parties be made aware of any inquiries from the jurors and that the treatment of these inquiries is fully reflected in the record," he said. Justice Barbara Pariente concurred with Labarga. On April 9, 2015, Whitton filed a habeas petition in Federal District Court. Walton County, Fla. - The Florida Supreme Court has denied an appeal from a Walton County murderer. 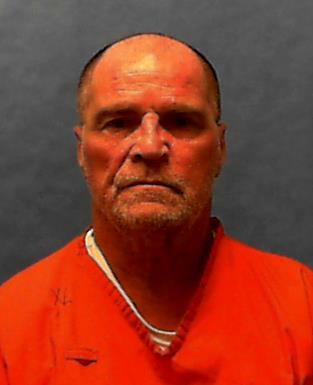 Gary Richard Whitton was convicted of the 1990 murder of James Mauldin. Whitton stole more than $1,000 from Mauldin in a Walton County hotel room and killed him for fear that Mauldin would later testify against him. Whitton's attorneys hoped that a recent U.S. Supreme Court decision that required juries to unanimously approve the death penalty would be enough to get a new sentencing phase in his case. However, that ruling only covers cases decided after 2002. Whitton's sentence of death became final in 1995. In today's orders, the United States Supreme Court declined to review Whitton's petition for certiorari.